An on line fan site of the fighting arts taught by Rick Faye at the Minnesota Kali Group. Including: Inosanto method Jeet Kune Do and Kali; American Thai Boxing Association Muay Thai, Machado Brazilian Jui-Jitsu and More! Featuring: Links to some of the coolest web sites and forums on the net for martial arts, fighting, NHB, MMA, self defense, and sport medicine. Go to the Curriculum section to see examples of the arts-even vote on what your favorite is! Visit: Philosophy page and leave your favorite Martial Arts Quote. Visit: Links & Downloads page for games, feature films and animations, search engines, TV listings and more! Photos of Lake Owen Camp 2000! Martial Arts Millennium Mayhem! Photos of Lake Owen Camp 2001 a Martial Arts Odyssey! Photos of LO 2002 The Trilogy continues! Visit the best forums on the web! 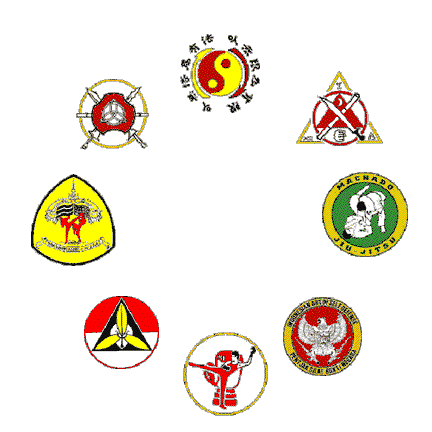 Do you have a web site on JKD, Filipino Martial Arts, Brazilian Jui-Jitsu, Muay Thai or other similar arts? If so Join The Group!